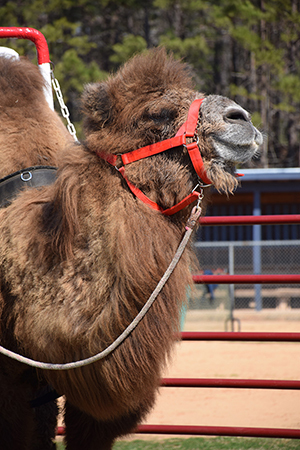 Don’t miss your chance to meet a live Bactrian camel! Visit with Oscar the camel in the Museum’s parking lot, then come inside for a hands-on experience of the many goods traded on the Silk Roads across Asia. You’ll be able to feel the silk fabric and smell the spices made the voyage from Asia to Europe and Africa. Offered in conjunction with our new exhibit, Stoneware on the Silk Roads, this all-ages event will also include craft activities, games, and food inspired by the Silk Roads. Admission is free. This event is cosponsored by the Wake Forest University Intercultural Center and the Department of East Asian Languages and Cultures.